Modular bookcase / desk wall unit in painted steel from the 5600 series designed Andre Cordemeijer for Gispen in 1962, as an update on the earlier 663 system by Wim Reitveld. 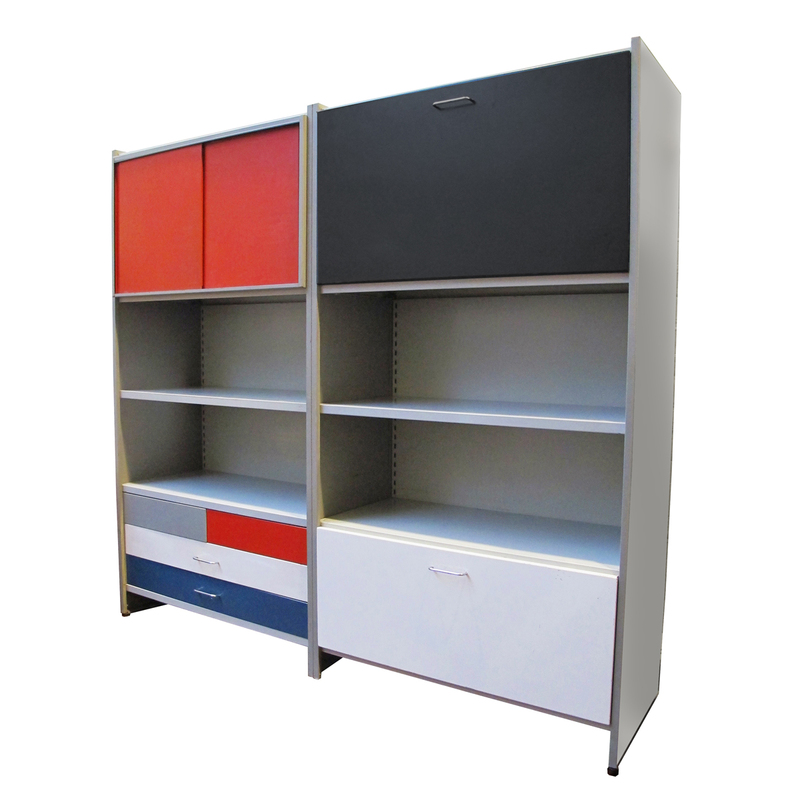 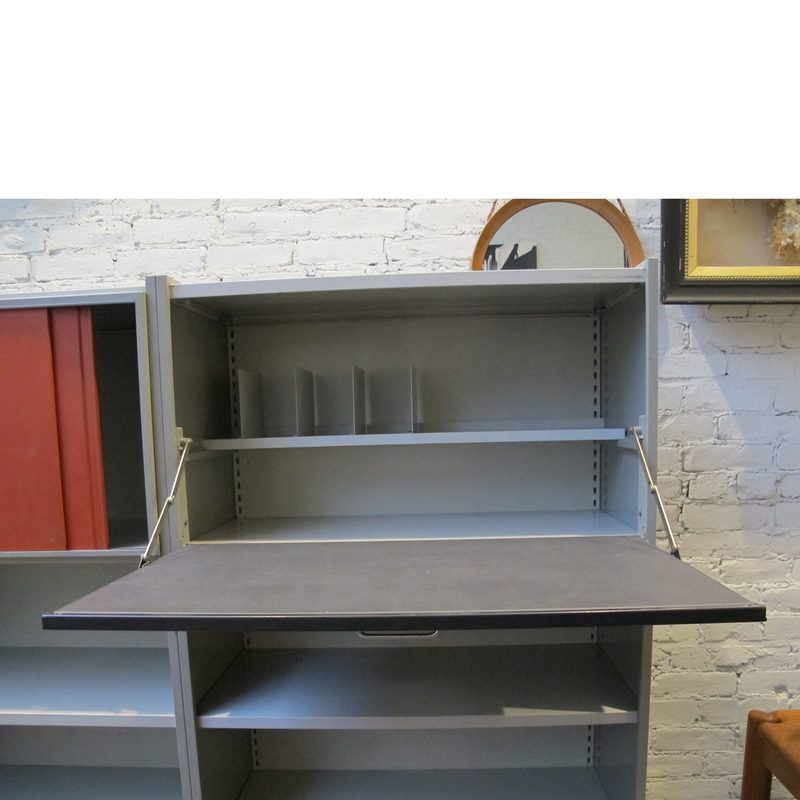 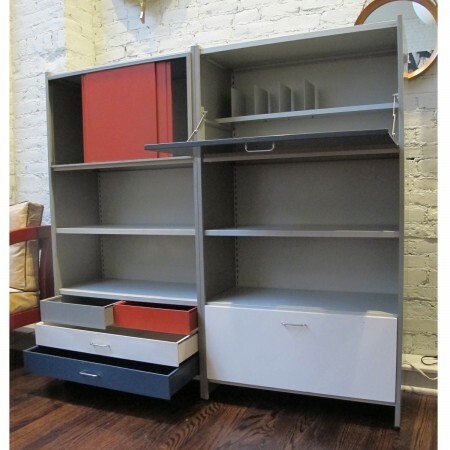 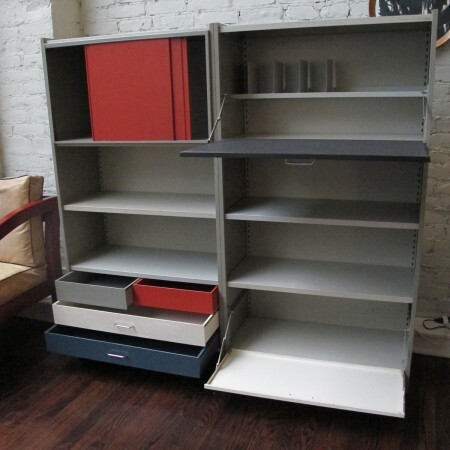 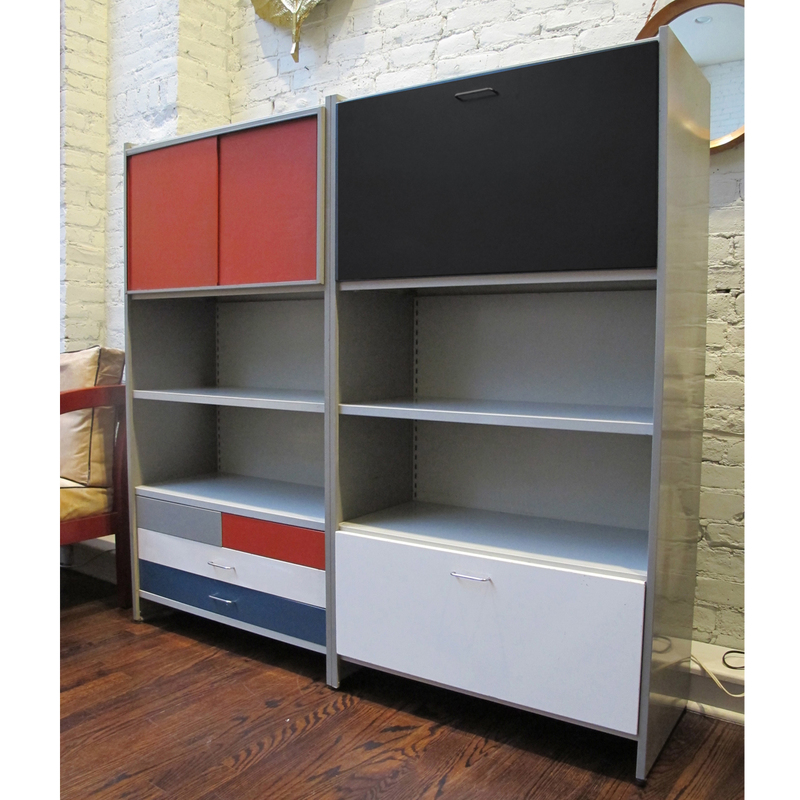 This unit includes a black drop-front desk with letter holders, a lower white dropfront storage cabinet, an upper cabinet with red sliding doors, four drawers in white, red, blue and gray, and four open bookshelves, all within a gray frame. 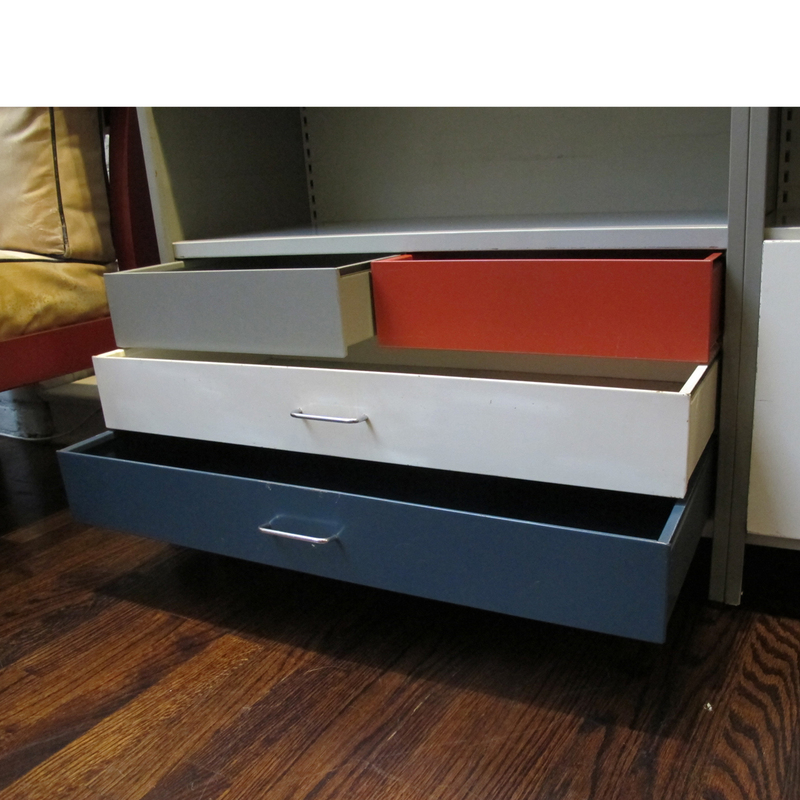 Components may be rearranged as desired. 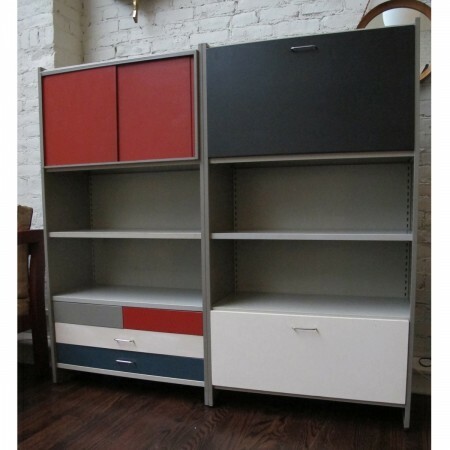 Price is for the two bay unit as shown. 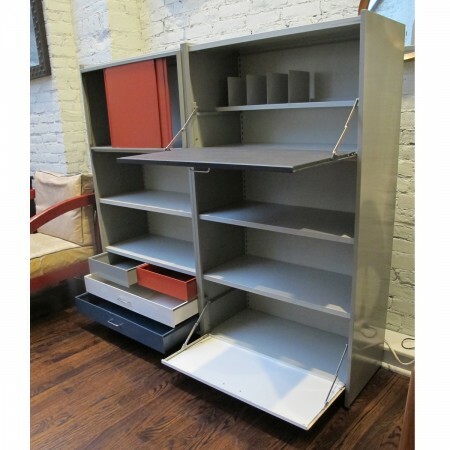 Good condition.some Very minor marks to overall original finish that do not detract from the appearance of the piece.